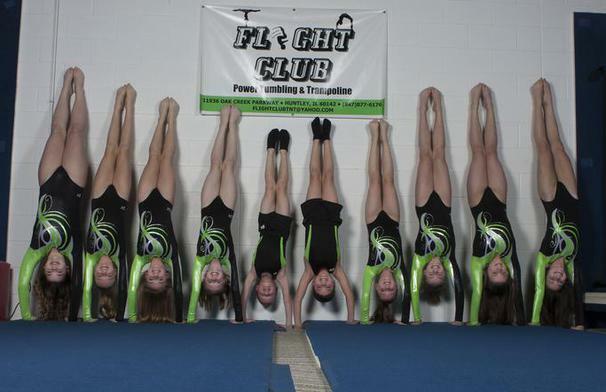 Flight Club offers recretional and competitive team classes for all levels of tumbling and trampoline. 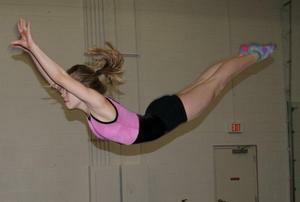 Children 3 to 18 years of age are invited to participate in classes, private lessons, tumble clinics and camps, open gyms, activity nights, and more! Host your next birthday party or group field trip at the gym! All class students and open gym participants, both new and returning, will need turn in an updated registration form/waiver signed by a parent or legal guardian, starting June 1st, 2017. This is required for participation in all Flight Club activities and classes. Our helpful staff is available Monday through Saturday to answer all of your questions. You may contact us by email at flightclubtnt@yahoo.com or by phone at 847-515-1935. We look forward to meeting you!